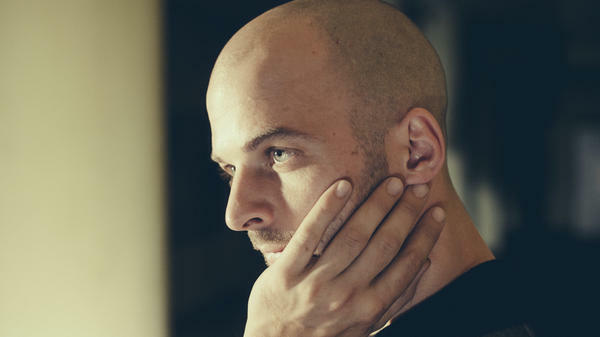 The composer Nils Frahm, who released a short suite of quiet songs called Encore 1 on June 1, 2018. The sun's season became official this past weekend — so what do you want to hear? Rooftop bops? Windows-down coasters? Sweated-through squall? Jazz-adjacent eccentricity? The extra-natural, electromagnetic jitter of summer, its late light and soupy heat, seems to have the effect of predisposing our ears to things that shiver alongside it, tilting us toward sounds that nurture its nervous energy. But coded in there is the power of perpendicularity; it's a time when quiet doesn't seem quite right, which gives subtlety a strength through its strangeness. Call it counterprogramming for inner peace. On Encores 1, a surprise little suite released today, Nils Frahm has arrived with his arms full of beautiful orphans from All Melody, the full-length record he released in January. Where All Melody was elegantly dense, Encores 1 is soft and spare, four solo piano compositions and one for harmonium, all of which mostly dance through Frahm's particular balance of pastoral optimism, countered always with a shaded melancholy — like closing your eyes and looking right at the daylight. Nils Frahm's Encores 1 is out now, via Erased Tapes.